يشكل فندق Arrowfield Apartments بموقعه الممتاز في قلب اروتاون نقطة انطلاق ممتازة لاستكشاف كوينز تاون. يقع مركز المدينة على بعد 2 km فقط. ويمكن الوصول إلى المطار خلال 10 دقيقة. إن سهولة الوصول من الفندق إلى المعالم السياحية الشهيرة الكثيرة في المدينة كمثل المستوطنة الصينية, سينما دوروثي براونز في أروتاون, Off The Wall Gallery هو استثنائي بحد ذاته. إن الخدمات التي يقدمها Arrowfield Apartments تضمن للنزلاء إقامة مريحة. يقدم الفندق فرصة للاستمتاع بشريحة واسعة من الخدمات بما فيها: واي فاي مجاني في جميع الغرف, مرافق مخصصة لذوي الاحتياجات الخاصة, تسجيل وصول/خروج سريع, تخزين الأمتعة, واي فاي في المناطق العامة . يمكن للنزلاء الاختيار من ضمن مجموعة من الغرف المصممة بعناية لتعكس جواً من الراحة، والتي يتجاوز عددها 15. سواء كنت من محبي الرياضة أو كنت تتطلع لتفريغ عناء نهار صعب، ستجد خدمات ذات مستوى عالي بانتظارك كمثل مركز للياقة البدنية, حمام سباحة داخلي, ملعب تنس. إن كنت تتطلع إلى إقامة مريحة وهادئة في كوينز تاون، فستجد في Arrowfield Apartments بيتك الثاني. Well equipped modern apartment, friendly managers, handy location. We stayed at Arrowfield apartments for 3 nights. 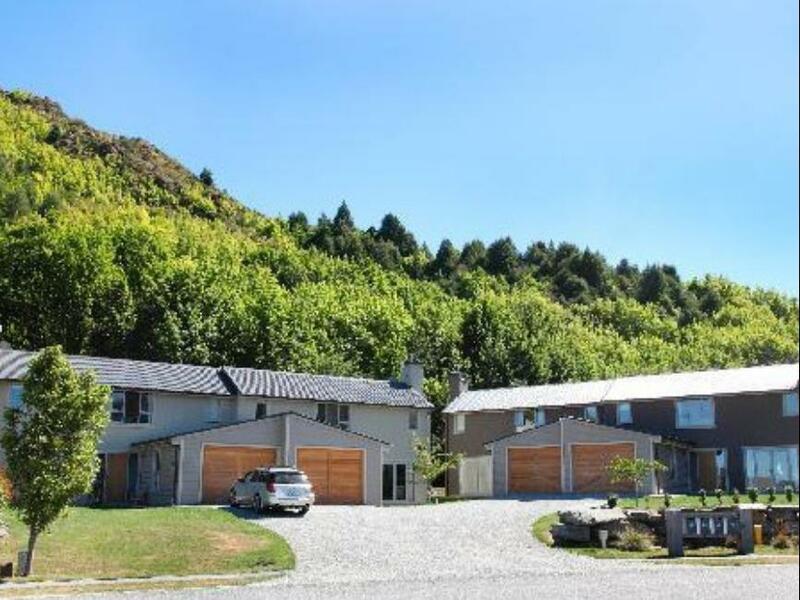 It is situated in a quiet location just a short stroll from Arrowtown and a short drive to Coronet Peak, the Shotover River and Queenstown. Scot and Teresa were great hosts and ensured that we had everything on hand to make our sta a memorable experience. Will definitely recommend and stay there again if I'm in Arrowtown. This was the best place that we have stayed in having visited the area several times. It was an easy 10min walk into Arrowtown. The apartment itself was actually a two-storey terraced house. It was very spacious, spotlessly clean and very well equipped. We will use this accommodation again. Myself and boyfriend and a friend stayed in these apartments for 2 nights in February 2013. The check in was easy and the welcome was warm. 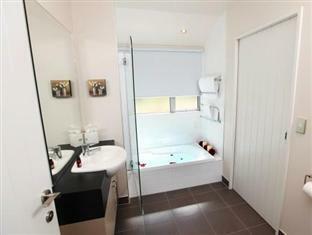 The apartment was spacious and had ensuites off both rooms plus a separate toilet. We had access to all the apartments ameneties including laundry which was useful. 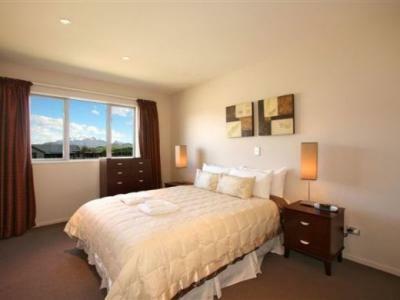 It is a 10-15min walk to the center of Arrowtown and a lovely 5min stroll to Millbrook which includes fine dining and pub/bar options. 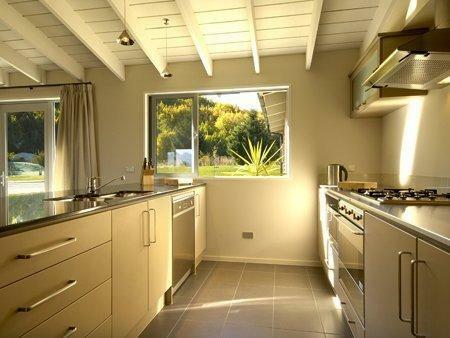 This is the perfect space for 2 couples or a family who don't want to be right in the thick of Arrowtown or Queenstown. Also a really great place to base yourself if you want to ski/board. 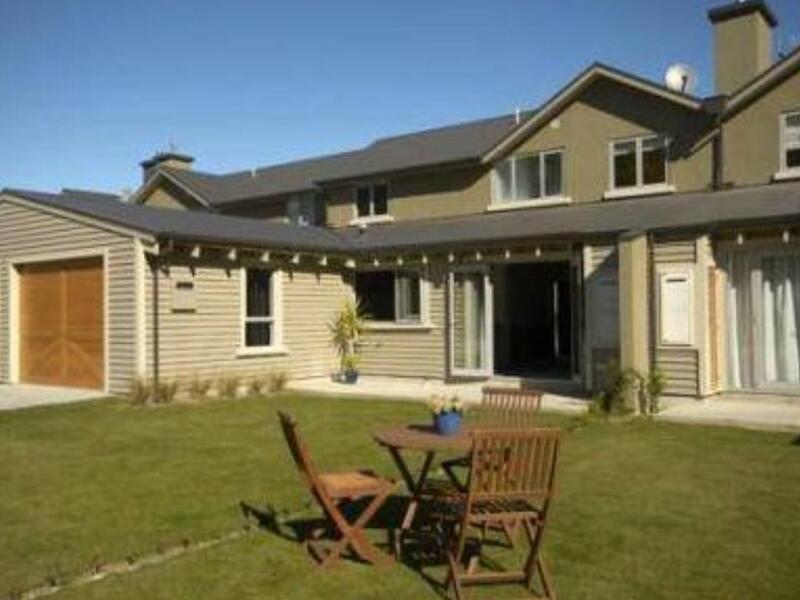 Great location for what we wanted - proximity to Arrowtown (2 min drive) yet far enough away to be blissfully quiet. We had everything we needed. Only the extractor fan that went on in the ensuite when the lights went on annoyed slightly - it stayed on for a wee while. Management promised to have a look - but no biggie for time we stayed. i absolutely love this place. in my whole nztrip, this is easily the best accommodation. there is even your own personal sheltered garage for your car.